INDIANAPOLIS, Ind. — Lawmakers in Indiana have passed a bill banning the murder of unborn children based on a Down Syndrome diagnosis or any other disability, while stopping short of banning all abortion in the state. H.B. 1337 passed the House of Representatives in a 60-40 vote on Wednesday, just a week after the Indiana Senate advanced the legislation 37-13. It outlines that the other disabilities include physical and mental disabilities, disfigurement, scoliosis, dwarfism, albinism and amelia. Indiana Sen. Liz Brown, R-Fort Wayne, told reporters that the bill is needed as physicians sometimes encourage mothers to abort because of the child’s health or abnormality. “What we hear from doctors is, ‘It would really be better off if you were not born. If you are born, we will love you, and we think you have equal rights and should be a member of society. In fact, we have the Americans with Disabilities Act and have to make accommodations. But we don’t want to make the accommodation before you’re born, and in fact, it would really be easier if you were not born,’” she explained in outlining the mindset of some in the medical field. But Rep. Sean Eberhart, R-Shelbyville, voted against the measure after speaking with his wife, who he said is “as pro-life as they come,” because he felt the move infringed on a mother’s choices. Others expressed concern about the legislation because it allowed perfectly healthy unborn children to be killed while only those with disabilities are protected. The legislation also provides requirements surrounding the disposition of babies who are aborted, requiring that they either be buried or cremated, in order to keep fetal remains out of landfills. The bill states that the woman is not required to provide a name for the baby on the burial permit. The legislation now heads to the desk of Gov. Mike Pence, who is expected to sign the bill. North Dakota is the only other state that bans the abortion of children who have fetal abnormalities. As previously reported, in 2014, then Pennsylvania Gov. Tom Corbett signed into law the Down Syndrome Prenatal Education Act, which mandates that mothers be offered contacts for resource and support services, national and local Down Syndrome organizations and access to early intervention programs, which include in-home help and therapy. 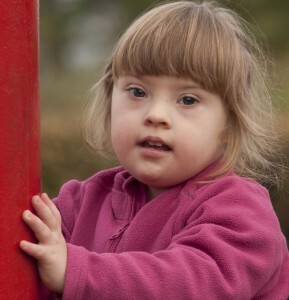 The bill had been inspired by Chloe Kondrich, a young girl with Down Syndrome, whose parents Kurt and Margie Kondrich became horrified when they learned that approximately 90 percent of women abort after receiving the diagnosis.